Donnie Yance is a Clinical Master Herbalist and Certified Nutritionist renowned for his extraordinary knowledge and deep understanding of the healing properties of plants and nutrition. He is a professional member of the American Herbalists Guild and the National Association of Nutrition Professionals. He is also professed as a Secular Franciscan, which equips him with the breadth and wisdom to touch on the spiritual aspects of healing. 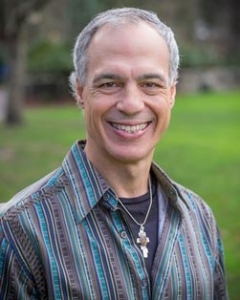 Donnie conducts his clinical practice at the Mederi Centre for Natural Healing in Ashland, OR utilizing his unique integrative model known as the Eclectic Triphasic Medical System, which he evolved over more than twenty years of successful patient care. He is the Founder and President of the Mederi Foundation, a not-for-profit organization for professional education and clinical research in integrative medicine. He is also the President and Formulator of Natura Health Products, a line of advanced botanical and nutritional products for health care practitioners. Donnie is an avid researcher and lectures nationally on his pioneering work in the field of botanical and nutritional medicine. He is the author of Herbal Medicine, Healing and Cancer and Adaptogens in Medical Herbalism: Elite Herbs and Natural Compounds for Mastering Stress, Aging and Chronic Disease.